I'm generally not in the habit of writing watch reviews. But this piece I felt deserved a few words. It isn't Haute Horology or cutting edge anything. It's just an honest watch, pretending to be nothing more than it is. 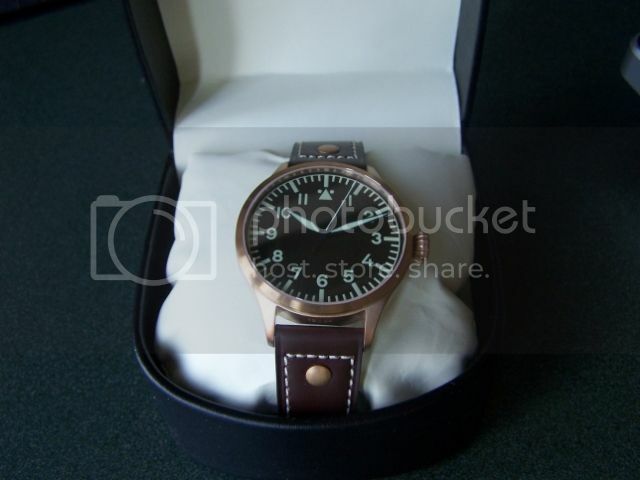 An awesome 3 hand pilots style watch with superb comfort and size a priority all contained in an interesting and beautiful case material to set it apart. 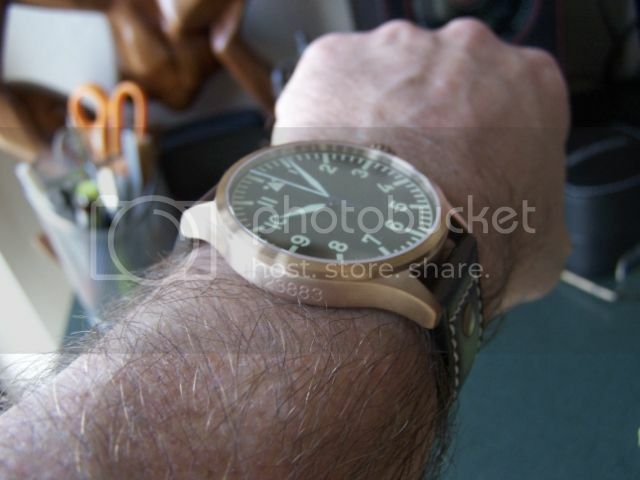 I saw this watch recently posted here as a new offering from Archimede. 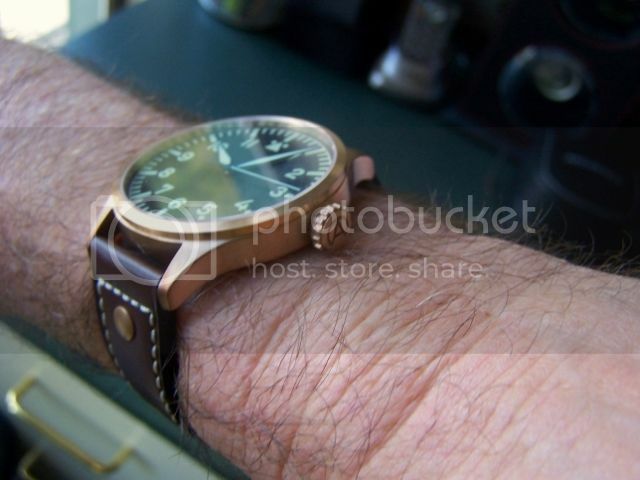 I've never owned a Bronze watch, frankly I haven't seen one that appealed to me, until now :>). 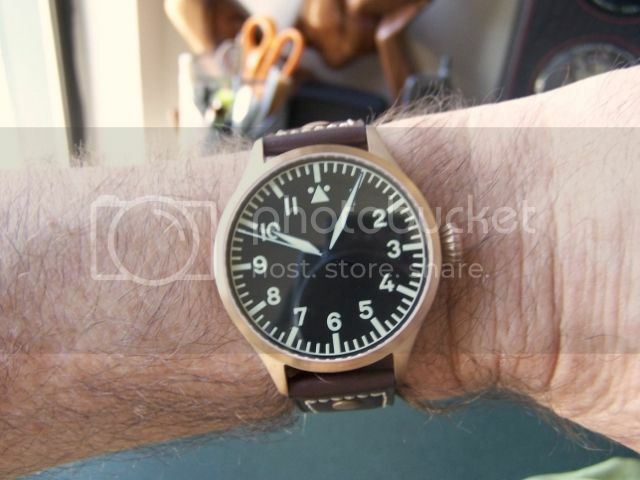 I've owned a couple of nice simple 3 hand Pilot watches but for some reason they've never stuck around long. 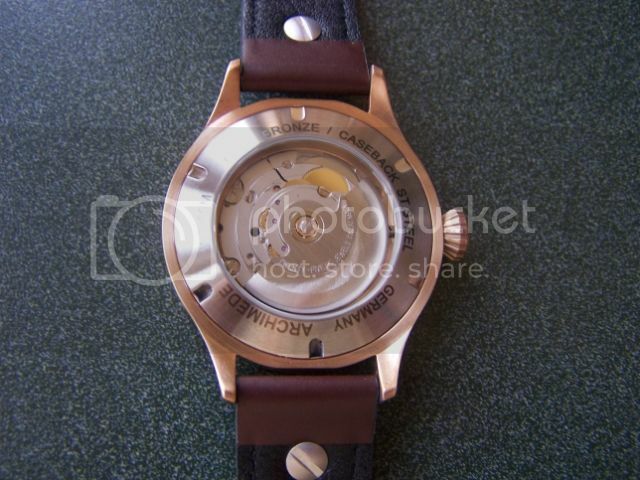 The look and price was right on this watch so I thought, what the heck, take a chance. 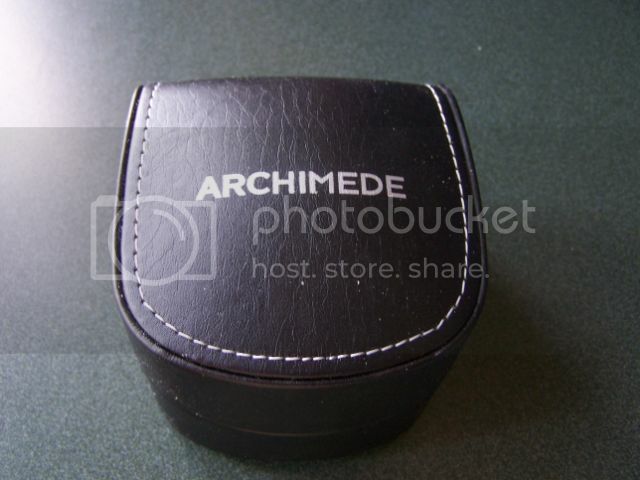 Archimede provided a very nice customer experience. Excellent communication from Germany, very reasonable prices, quick notification of shipping date, they contacted me to ask if I wanted a credit for a bronze buckle that I ordered by mistake. When they saw that I had ordered it, they took the initiative to ask and then credit my Visa card immediately. As icing on the cake it was a very quick overseas shipping - Archimede gets an "A" from me. 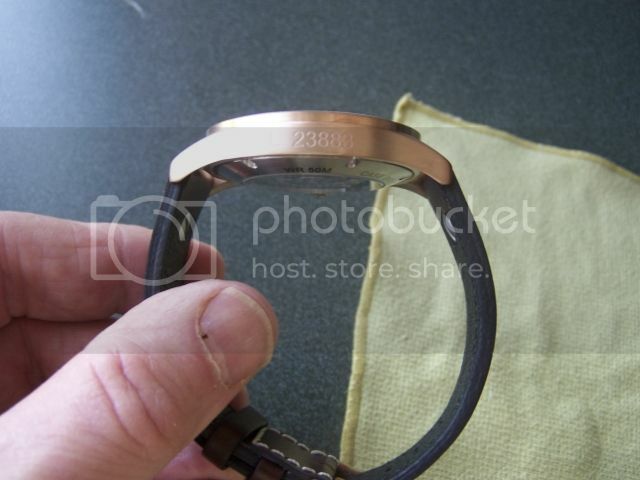 This watch seems to be every bit the equal of the no-logo automatic STOWA Fleiger I owned for a few years. 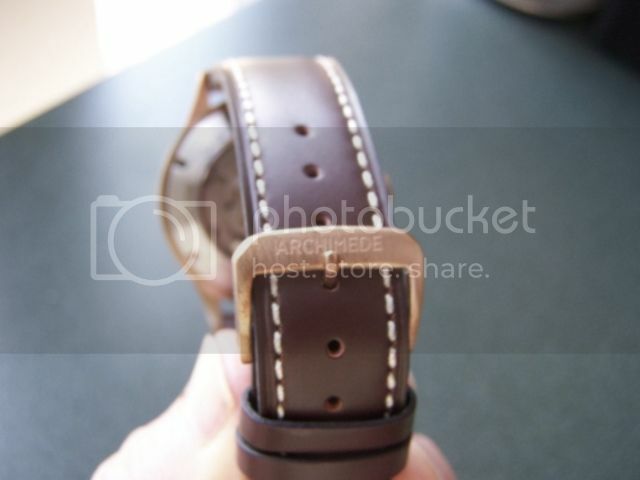 At 10mm, it sits nice and snug on the wrist. It's light as a feather. 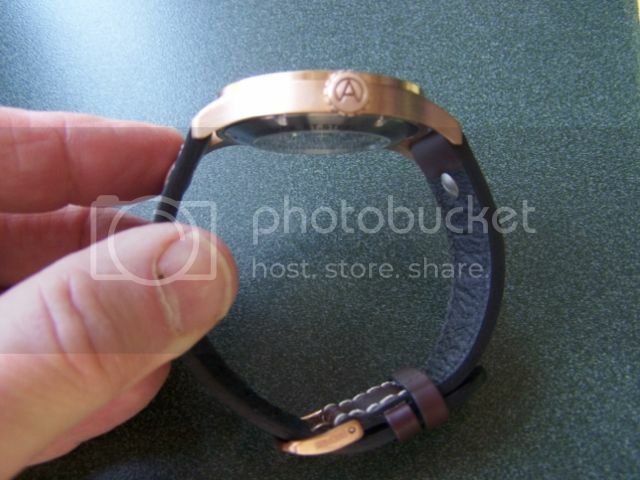 At 42mm it's the perfect size for a watch of this type, IMHO. The crown is large but no so large that it digs into the wrist or hand. 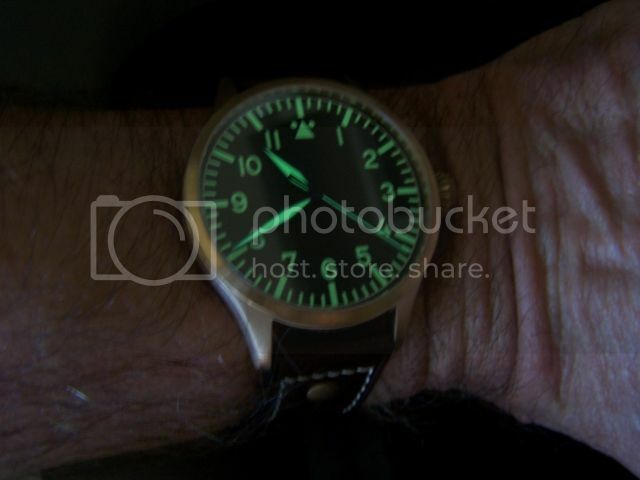 The lume is outstanding! - a real torche. While not particularly impressive to view from the back, the ETA auto movement is time-proven and very reliable. I like ETA driven watches. I have to compare my purchase-direct-from-factory experience to their German competitor, STOWA, who consistently present interesting and attractive watches but can't seem to deliver anything in less than 3 months and often a much longer wait than that. 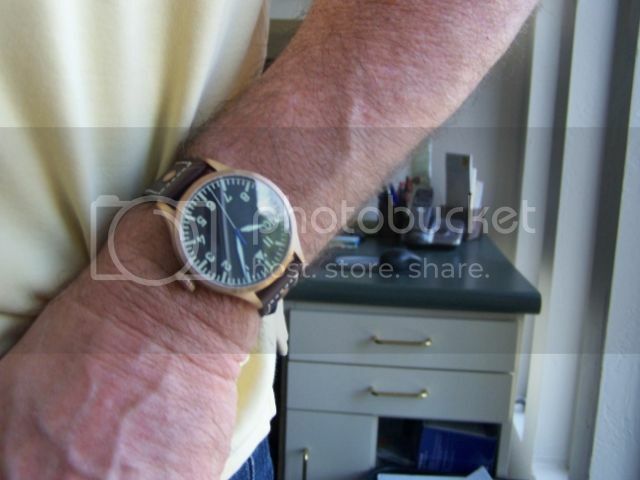 This isn't a knock on STOWA, I'm a true fan of the company and of its founder, Jorge Schauer. But they just don't seem to have their delivery act together. That leaves a nice opening for Archimede to snag some of those customers. All in all, this is a very cool watch that I'll enjoy wearing immensely. This just goes to show you, your don't have to spend thousands of dollars on a watch to put a smile on your face. Previous Topic: Blatant copying of other brands by Longines.